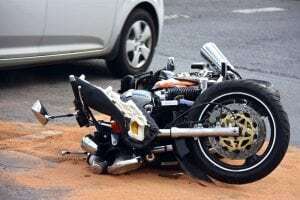 Queens, NY (April 14, 2019) – This afternoon, around 1:40 p.m., police responded to the scene of a fatal motorcycle accident that took place on the Utopia Parkway. Police have identified the rider as 30-year-old Joseph Calvacca, who was involved in an accident and lost control of his bike. He was then ejected from the seat of his Suzuki motorcycle. Police say that Calvacca struck the side of a parked 2018 Jeep SUV and received severe trauma. When responding officers arrived at the scene of the accident near 22nd Avenue, they found Calvacca unconscious. He passed away after being taken to the hospital. According to research, motorcyclists are 37 times more likely to lose their lives in motorcycle accidents than any other type of accident that takes place on our roadways. Motorcyclists are some of the most vulnerable parties who share our roads. If you have lost a loved one in one of these accidents, you have many rights. At Hach & Rose, you have rights if you and your family have suffered at the hands of a reckless party and lost a loved one in an accident. Losing someone unexpectedly can be a life-changing experience that leaves you feeling as if you are without options but this is not the case. If you are struggling to come to terms with your motorcycle accident, you have rights and protections under the law. Please contact us at 212-779-0057.